If you have been thinking about selling or buying homes for sale in Tahoe Keys, you will want to do a little homework before you start the process. The first thing you will need to do is find a qualified and professional Tahoe Keys realtor. Once you have found someone you trust to guide you through the process, you will want to find out what the current Tahoe Keys real estate statistics are. As a buyer, you want to ensure that you are not over paying for homes for sale in Tahoe Keys while still creating a competitive offer that sellers consider enticing. Sellers can use the information to make sure they price their homes for sale in Tahoe Keys according to the current market values. If properties are overpriced, they can sit and lose valuable market time. Knowing the current market conditions is why the use of a Tahoe Keys realtor is so necessary. So how is Tahoe Keys real estate doing? Let’s take a look at the numbers InfoSparks is reporting! The average sold price for homes for sale in Tahoe Keys is down by 3.5% at $831,423. The median sold price for homes for sale in Tahoe Keys is down 15.1% at $672,000. The average days on market is down 14.1% at 122. The average percentage of list price is down slightly at 95.8%. This number is used as a tool to determine your negotiation power. As far as inventory goes, the categories we look at have a mixed review. The amount of Tahoe Keys homes for sale is down 10.3%, Closed Tahoe Keys homes for sale are up at 14.7%, pending Tahoe Keys real estate is up 12.3% and newly listed Tahoe Keys homes for sale is up 2.9%. The month supply is down 14.1% at 5.5. Anything less than 4 is considered a seller’s market while a market needs a 6 month supply in order to be balanced. Now, it is important to know that each town and each neighborhood within that town has their own market report. 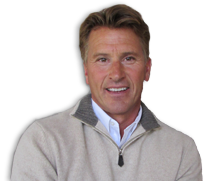 If you are looking for more information on Tahoe Keys real estate, feel free to give me a call. I would be happy to help.